Amos Barton, the new curate of the parish church, is already finding it hard to fit into the small village where he has taken the job. 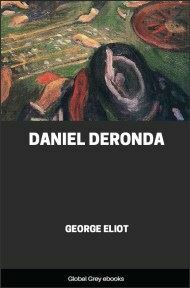 His position becomes even more fraught when he and his wife give refuge to a Countess. 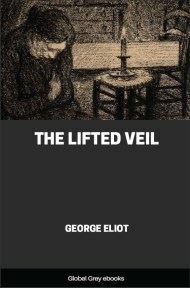 This short story by George Eliot follows the life of man as he struggles to make it through life's misfortunes. Shepperton Church was a very different-looking building five-and-twenty years ago. To be sure, its substantial stone tower looks at you through its intelligent eye, the clock, with the friendly expression of former days; but in everything else what changes! Now there is a wide span of slated roof flanking the old steeple; the windows are tall and symmetrical; the outer doors are resplendent with oak-graining, the inner doors reverentially noiseless with a garment of red baize; and the walls, you are convinced, no lichen will ever again effect a settlement on — they are smooth and innutrient as the summit of the Rev. Amos Barton’s head, after ten years of baldness and supererogatory soap. Pass through the baize doors and you will see the nave filled with well-shaped benches, understood to be free seats; while in certain eligible corners, less directly under the fire of the clergyman’s eye, there are pews reserved for the Shepperton gentility. Ample galleries are supported on iron pillars, and in one of them stands the crowning glory, the very clasp or aigrette of Shepperton church-adornment — namely, an organ, not very much out of repair, on which a collector of small rents, differentiated by the force of circumstances into an organist, will accompany the alacrity of your departure after the blessing, by a sacred minuet or an easy ‘Gloria’. Immense improvement! says the well-regulated mind, which unintermittingly rejoices in the New Police, the Tithe Commutation Act, the penny-post, and all guarantees of human advancement, and has no moments when conservative-reforming intellect takes a nap, while imagination does a little Toryism by the sly, revelling in regret that dear, old, brown, crumbling, picturesque inefficiency is everywhere giving place to spick-and-span new-painted, new-varnished efficiency, which will yield endless diagrams, plans, elevations, and sections, but alas! no picture. 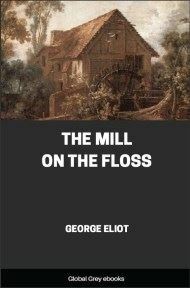 Mine, I fear, is not a well-regulated mind: it has an occasional tenderness for old abuses; it lingers with a certain fondness over the days of nasal clerks and top-booted parsons, and has a sigh for the departed shades of vulgar errors. So it is not surprising that I recall with a fond sadness Shepperton Church as it was in the old days, with its outer coat of rough stucco, its red-tiled roof, its heterogeneous windows patched with desultory bits of painted glass, and its little flight of steps with their wooden rail running up the outer wall, and leading to the school-children’s gallery. Then inside, what dear old quaintnesses! which I began to look at with delight, even when I was so crude a members of the congregation, that my nurse found it necessary to provide for the reinforcement of my devotional patience by smuggling bread-and-butter into the sacred edifice. There was the chancel, guarded by two little cherubims looking uncomfortably squeezed between arch and wall, and adorned with the escutcheons of the Oldinport family, which showed me inexhaustible possibilities of meaning in their blood-red hands, their death’s-heads and cross-bones, their leopards’ paws, and Maltese crosses. There were inscriptions on the panels of the singing-gallery, telling of benefactions to the poor of Shepperton, with an involuted elegance of capitals and final flourishes, which my alphabetic erudition traced with ever-new delight. No benches in those days; but huge roomy pews, round which devout church-goers sat during ‘lessons’, trying to look anywhere else than into each other’s eyes. No low partitions allowing you, with a dreary absence of contrast and mystery, to see everything at all moments; but tall dark panels, under whose shadow I sank with a sense of retirement through the Litany, only to feel with more intensity my burst into the conspicuousness of public life when I was made to stand up on the seat during the psalms or the singing. And the singing was no mechanical affair of official routine; it had a drama. As the moment of psalmody approached, by some process to me as mysterious and untraceable as the opening of the flowers or the breaking-out of the stars, a slate appeared in front of the gallery, advertising in bold characters the psalm about to be sung, lest the sonorous announcement of the clerk should still leave the bucolic mind in doubt on that head. Then followed the migration of the clerk to the gallery, where, in company with a bassoon, two key-bugles, a carpenter understood to have an amazing power of singing ‘counter’, and two lesser musical stars, he formed the complement of a choir regarded in Shepperton as one of distinguished attraction, occasionally known to draw hearers from the next parish. The innovation of hymn-books was as yet undreamed of; even the New Version was regarded with a sort of melancholy tolerance, as part of the common degeneracy in a time when prices had dwindled, and a cotton gown was no longer stout enough to last a lifetime; for the lyrical taste of the best heads in Shepperton had been formed on Sternhold and Hopkins. But the greatest triumphs of the Shepperton choir were reserved for the Sundays when the slate announced an ANTHEM, with a dignified abstinence from particularization, both words and music lying far beyond the reach of the most ambitious amateur in the congregation: an anthem in which the key-bugles always ran away at a great pace, while the bassoon every now and then boomed a flying shot after them. 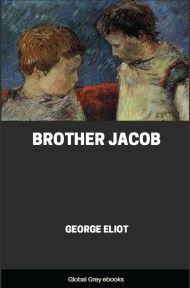 As for the clergyman, Mr. Gilfil, an excellent old gentleman, who smoked very long pipes and preached very short sermons, I must not speak of him, or I might be tempted to tell the story of his life, which had its little romance, as most lives have between the ages of teetotum and tobacco. And at present I am concerned with quite another sort of clergyman — the Rev. 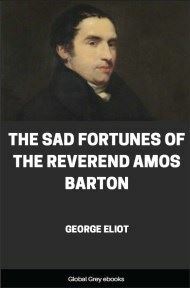 Amos Barton, who did not come to Shepperton until long after Mr. Gilfil had departed this life — until after an interval in which Evangelicalism and the Catholic Question had begun to agitate the rustic mind with controversial debates. A Popish blacksmith had produced a strong Protestant reaction by declaring that, as soon as the Emancipation Bill was passed, he should do a great stroke of business in gridirons; and the disinclination of the Shepperton parishioners generally to dim the unique glory of St Lawrence, rendered the Church and Constitution an affair of their business and bosoms. 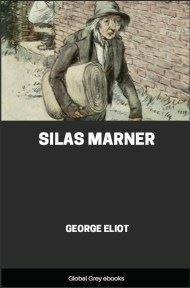 A zealous Evangelical preacher had made the old sounding-board vibrate with quite a different sort of elocution from Mr. Gilfil’s; the hymn-book had almost superseded the Old and New Versions; and the great square pews were crowded with new faces from distant corners of the parish — perhaps from Dissenting chapels.